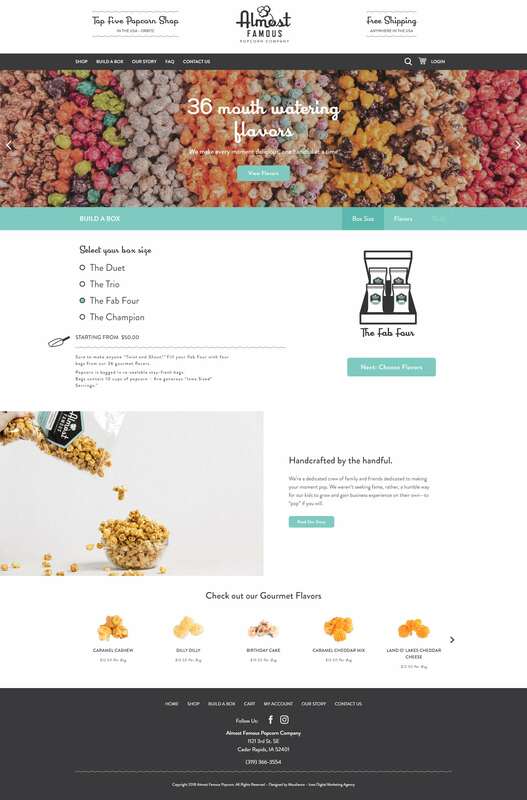 Almost Famous Popcorn, previously known as Great American Popcorn Co. Cedar Rapids, hired Maudience for their e-commerce website design and development. Our team developed a custom “Build-a-Box” feature that allows customers to choose the size of their box as well as the popcorn flavors they want included in their box. We also provided product photography for their website and are continuing to work with them on their digital marketing efforts!